With Summer finally approaching, we are already dreaming of sunny beaches and bustling city breaks. Welcome to the first in our series of fashion getaways; a new regular feature on the Angel Jackson blog where we will hear about the best places to visit from the people who know it best. First up, is our very own Millie Smith, Brand Director for Angel Jackson. 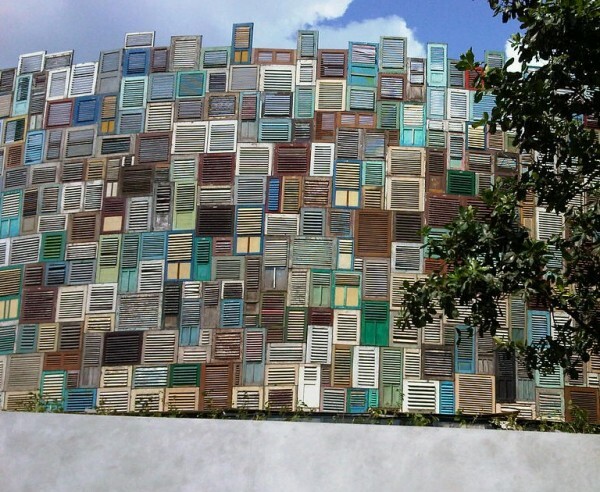 Having lived in Bali for the past five years, she gives us an expert view of her favourite things to see, do and experience, from delicious Bloody Mary’s, to the most stylish of hotels on the island. Read our interview below, and we are sure you will be packing your bags and checking out some cheap flights to Bali! What would be the first place you recommend to a new visitor to Bali? There are so many amazing places it’s difficult to choose! 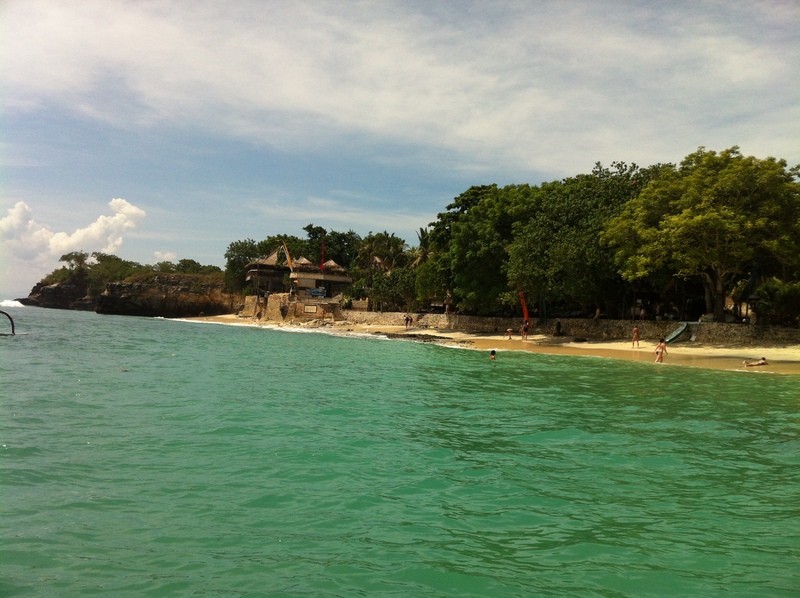 It depends on what sort of experience you want from Bali and how long you’re here for. If you want a really chilled beach holiday, I would recommend going to Uluwatu.. beautiful white sand beaches and in certain spots the sea is crystal clear and like a swimming pool. Other spots in uluwatu have famous rips and are perfect for surfing. When we go down to Uluwatu we go to the ‘Secret Beach’.. it’s not so secret anymore but still always pretty much deserted with some great warungs (shacks serving food) along the beach selling cheap beer! The gili islands (Gili Trawangan, Gili Air, Gili Meno) are a 25 minute flight from Bali airport or a 2.5hr boat trip.. we always opt for the boat as it’s much more fun and takes you straight to the islands. With the flight, you fly to Lombok, then have to get a taxi to the other side and then a boat to the Gili’s.. 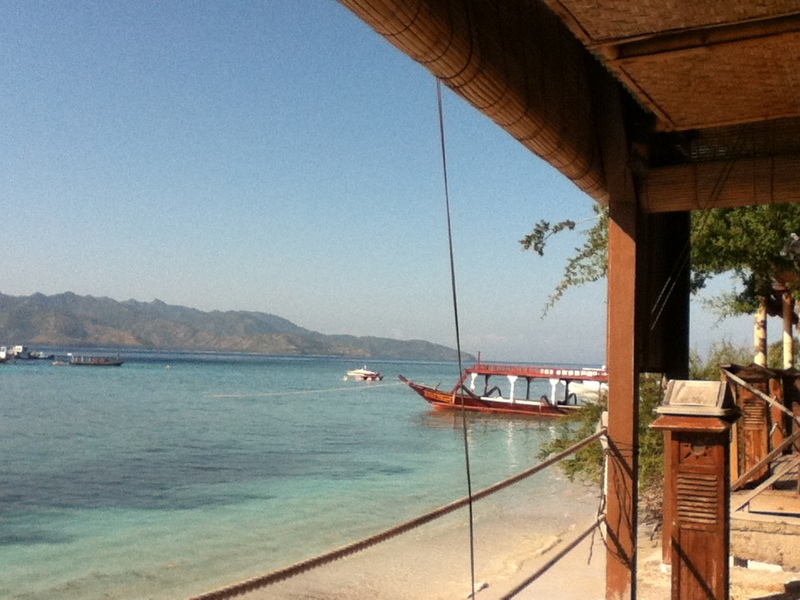 The biggest Gili island is Gili Trawangan.. its still sleepy compared to Bali but is the busiest of the 3 islands. It has great accommodation and restuarants for all budgets.. Snorkelling and diving are the main activities – also, there are no cars or motorbikes on any of the gili islands, so transport is either horse and cart (chidomo) or push bikes that you can hire from all over the island. Of course, a visit to the Angel Jackson factory is a must – see where the magic happens! How long have you lived in/been visiting Bali? Katie and I have been coming to Bali we set up the Angel Jackson factory in 2004.. I have been living here since 2008. Katie is moving here in July which I am soooooo excited about..
What do you miss most when you leave? Waking up to blue skies every morning and the sounds of the birds in the garden. 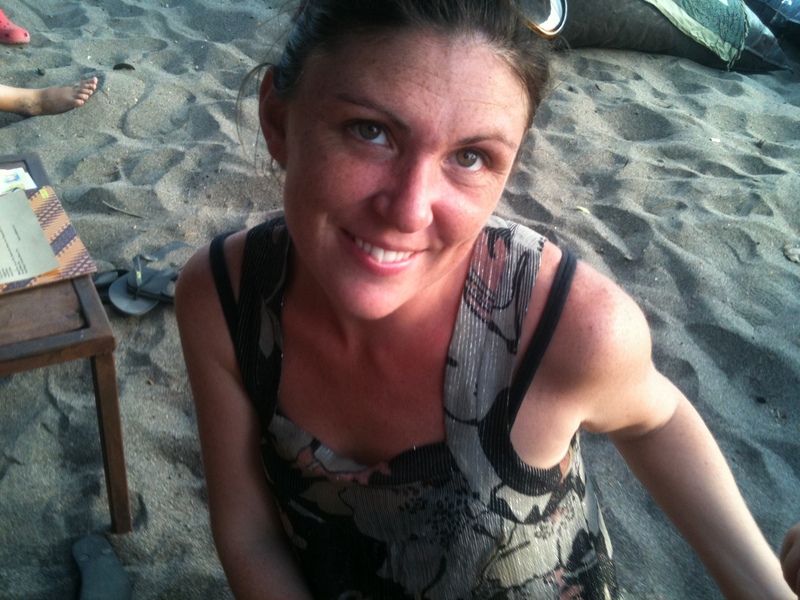 I also miss the Angel Jackson team at the workshop as everyone is like family..
What’s it like to work in Bali/what inspires you about Bali..
Bali is a great place for meeting other designers – there’s a brilliant creative community here. Other luxury designer brands such as Zoe and Morgan and KTZ work out of Bali. There are lots of other handbag designers here as well, so it’s great when anyone has a problem – it just takes a few phone calls to friends who work in the same industry and it’s usually sorted pretty quickly! The craftsmenship in Bali is amazing.. our team of tailors are incredibly dedicated and passionate about their work. There is a great attention to detail and sense of pride in the Angel Jackson bags that are made at our workshop. 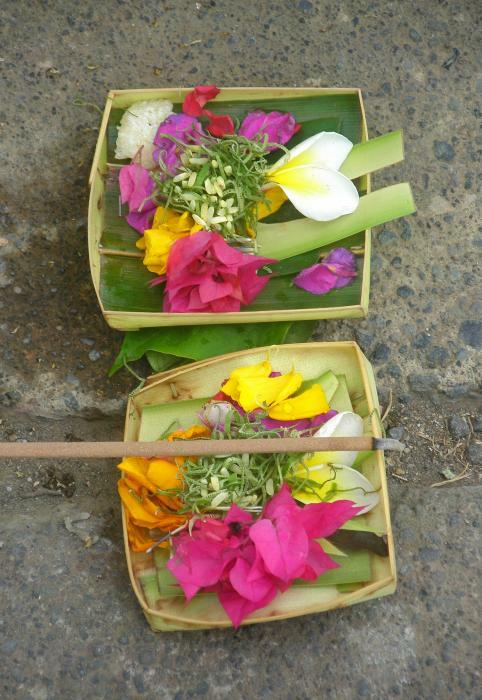 There are so many gorgeous materials available in Bali.. the colours are an inspiration in themselves! What is unique to Bali? The people are gorgeous, welcoming and the Balinese Hindu religion is like no other.. beautiful offerings are made every morning for the gods.. there are hundreds of ceremonies throughout the year for various gods and occasions. We have a temple at the Angel Jackson workshop and offerings are placed there every morning. 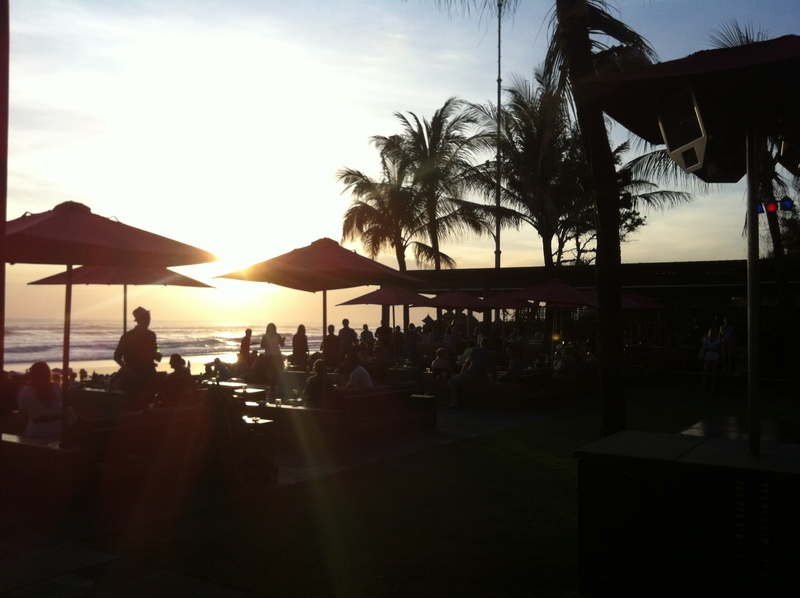 What would be your perfect evening out in Bali? Which bag do you take out with you and which bag are you wearing at the moment? In the day, I use either the Black/white chevron origami tote or the Pria tote in White.. great bags for fittings all my everyday essentials in! 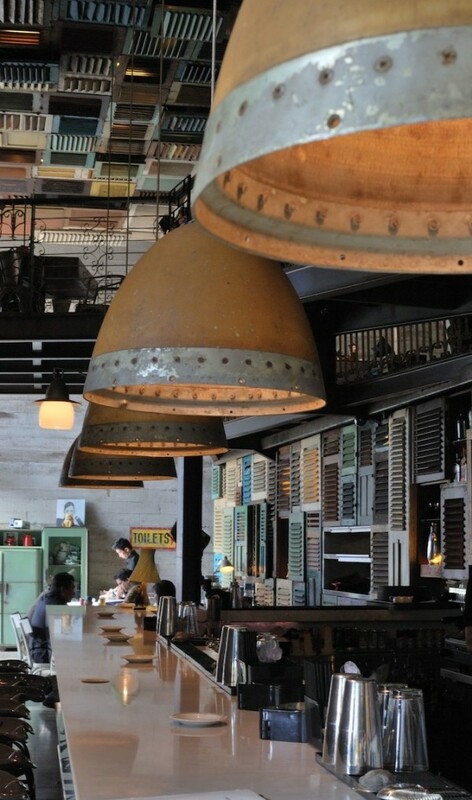 Where are your favourite hangouts? 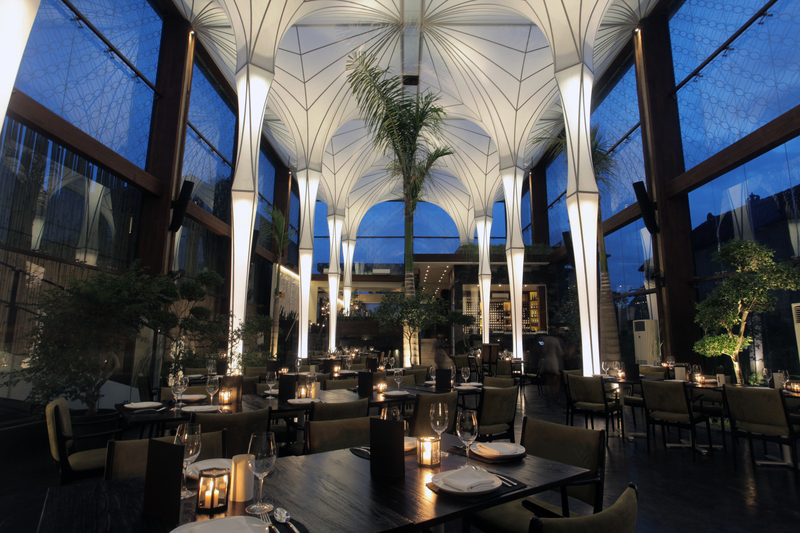 Best place for breakfast/lunch/cocktails?